How can we bridge the Digital Divide? Mission WCAG reaches level 2.1 this June 2018, after four years in the making. This is a significant milestone in the web accessibility world, and assures the public that the otherwise overwhelmingly rapid advancements in technology are accompanied by a sense of responsibility, and recognition of the social impact of the digital world as it continues to influence basic daily activities and tasks. The need to make electronic devices accessible to all members of the community is now more relevant and imperative than ever. While the evolving guidelines are a promising sign of the non-discriminatory nature of technology, it is important to remain aware of the possible barriers, stigmas, debates and preconceptions which may still arise on the journey towards full compliance, and work towards bridging the digital divide by making accessibility accessible — to every user, across every device. Assistive technology (AT) first appeared in federal law in the Individuals with Disabilities Education Act of 1990. Version 1.0 of WCAG (Web Content Accessibility Guidelines) were introduced in 1999, spurred by the 1991 Disability in America report by the Institute of Medicine, and are maintained by the World Wide Web Consortium (W3C). The guidelines outline the standard practices for designing for compliance and accessibility for all users, mostly across websites and digital applications. They are part of the assistive technology family as they apply to “any item, piece of equipment, or product system, whether acquired commercially, modified, or customized, that is used to increase, maintain, or improve the functional capabilities of individuals with disabilities.” This includes hearing impairments, mobility, cognitive and learning disabilities. WCAG is judged according to three levels of conformance, ranging from A to AA and AAA. The guidelines provide instructions grouped under four headings which approach certain elements of design and development, the results of which must be “Perceivable” & “Understandable” (covering necessary requirements for images, audio, visual design), “Operable” (outlining important practicalities such as keyboard use and time taken to perform tasks), and “Robust” (regarding cross browser compatibility, for example). Although accessibility is in most cases immediately associated with accommodating for disabilities, WCAG guidelines and practices are evolving to address and encompass issues such as human rights, equality, practicality, and general usability and functionality of digital devices for every user, no matter their environment, level of technical prowess or placement on the disability spectrum. Moral of the story? There’s no such thing as a normal user. The language around the definition of assistive technology itself alludes to a diverse range of potential beneficiaries, as it intends to either eliminate or compensate “individual functional limitations” through universal design. Universal design (also known as “inclusive design” and “design for all”) takes into consideration the users’ immediate environment, their range of personal capabilities, age group, etc. WCAG version 2.1 not only accommodates for disabilities, but ensures that online service design can accommodate a user with perfect motor abilities who is attempting to carry out a transaction on a mobile responsive touch interface during a bumpy bus ride, or in an area with slow internet connection. This takes the topic of web accessibility mainstream, highlighting the benefits of its application in improving the online experience for all users. WCAG therefore is relevant to all fields, from UX design and research through to visual design and coding. Why is Web Accessibility so relevant right now? If you work in the technology and design industries in particular, making your products WCAG compliant is an important step to take. Firstly, it is a non-negotiable requirement by law, as the realm of internet activity has become a central concern for policy makers. Section 508 of the Rehabilitation Act requires federal agencies to make their electronic and information technology accessible to people with disabilities, and the Assistive Technology Act of 1998 affirms technology’s role in improving the lives of Americans with disabilities. The statistics show how relevant these concerns are — 56 million people worldwide are living with a disability, and according to The World Health Organization’s Disability and Health fact sheet, up to 190 million adults have significant difficulties in functioning. Pre WCAG, technology was not designed to accommodate for a large portion of the population. This now goes beyond merely affecting whether a user can play a computer game online. The role of electronic technology is integrated into everything, from basic everyday tasks such as transactions and purchases, to employment applications, access to educational opportunities and health care, and reading important documents. The inability to use these services is disabling in itself — whether attempting to take money from an ATM machine or buy a screen reader online. The issue extends to negatively impacting companies themselves — “Travel sites with bad accessibility have stopped me from making purchases in the past and hampered my experiences,” says one participant (with Usher syndrome) in a 2016 report published by Sigma in the U.K. A smartphone is no longer just a phone, but a pocket portal, which organises and contains access to your whole world — from diaries and cameras to GPS and banking. Not having Internet access is a liability, and the digital divide is even more evident in this context, as studies show how reluctant individuals with disabilities are to using technology and the internet. Ethical, social and political awareness in technology is essential if it is to be successful in creating positive change. In this way, web accessibility goes beyond design and aesthete, and has implications for a company’s diversity policy and stance — adhering to compliance measures is not just a client deliverable but also reflects a philosophy, a mindset, a principle, which seeks to treat everyone the same, by working against exclusion and making life-enhancing adjustments through appropriate product design. This even relates to the broader mission of making technology less “scary” and imposing to the general population, by ensuring it is regarded as a way of making people’s lives easier and more efficient (for example, while visual impairments may prevent a diner from reading a menu, by taking a photo, a smartphone can then read it aloud to the user). All advances in technology therefore need to live up to the basic principles of human rights, which stipulate equal access to products and services, in order to achieve this universal understanding. For example, many individuals with certain disabilities find it easier to make purchases online rather than access the location itself. The technology to do so needs to be accessible, whether through a website which recognises a screen reader or a user journey which accommodates the exclusive use of a keyboard. What are the barriers to accessibility? Although the advent of WCAG and federal policies is exciting and encouraging, it doesn’t come without roadblocks — the main ones revolving around issues of availability, affordability, education, and perception. First of all, government funding for disability-related research is relatively limited, and research is most important to improving and adjusting the effectiveness and accessibility of emerging technologies among those with whom accessibility may be an issue. As a member of our development team pointed out, it’s developers who have the most to learn, from the people who will be using these technologies themselves — these aren’t text-book learning advancements. 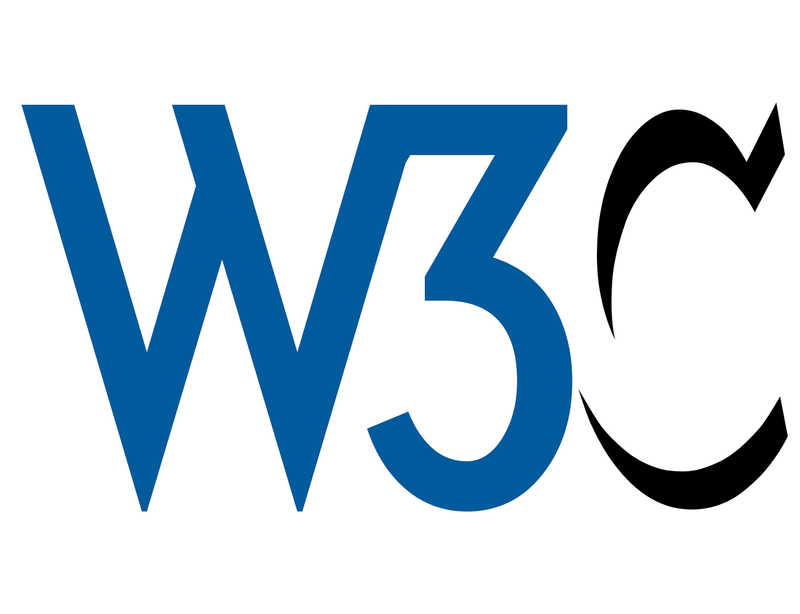 The W3C, for example, is financially supported by grants, external contracts, and outside Member dues such as from the European Commission, which has funded several projects including WAI-AGE, which researched the design of products according to the needs of older users and how these methods overlap with web accessibility guidelines for people with disabilities. The results of studies like these can enhance WCAG standards and identify impairments which effect web use. Then there’s the question of accessibility in itself — making sure that web accessibility is accessible to all. Once a company or organization has taken the steps necessary to make their digital products, websites and services compliant, the work doesn’t end there. Even though accessible products may be available, other barriers may still stand in the way of their effective use. Spreading awareness of the most recent advances in technology and compliance, how they can improve lives of targeted users, making sure this audience is properly informed in how to benefit from and use them, and addressing issues of affordability, are all important moves to consider post launch (and of course, this goes beyond the role of solely the design team/agency and organization). Post launch, with regards to affordability, it is important to remain sensitive and aware of the social and economic backgrounds and possible disadvantages of people with disabilities who may lack the financial resources to purchase assistive technologies such as a screen reader, or even a computer or internet connection in the first place. How do we make accessibility accessible? Draw attention to the availability of AT/compliance on your websites, for example by publishing an accessibility statement either on your website or those of you clients’ which explains your policy towards accessibility, and the steps you have taken in this direction. Many websites also offer downloadable communications support for free with guidelines on how to make the most of the site’s accessibility. Breaking down barriers and changing the dialogue around web accessibility is important in order to making sure we focus the message of usability design around diversity and inclusion. It’s about focusing on ability, and how we can enhance our websites and applications based on knowledge of what someone can do, rather than just what someone can’t do. Accessibility in technology isn’t a black and white issue. By making it mainstream and marketing it as beneficial to every user, we can normalize the use of AT and web accessibility features. Effective, targeted content marketing is an extremely powerful method of spreading awareness and drawing attention to emerging products. Facebook’s video about accessibility technology in use was a massive hit because it portrays how much AT improves the lives of people who would otherwise struggle to use technology. With over 100,000 views, it is sure to have reached not only an audience who could benefit from this, but also educate the public and technology users in general about web accessibility and design functionality. The video is empathetic, personable, and emotional, creating an immediate connection and affinity with the viewer. Participation — let’s get beneficiaries involved in the design process, in testing, in the tech industry as a whole. Here at Blenderbox we partner with ULTRA Testing for the QA phase of projects, and they employ individuals on the autism spectrum to test pages for bugs and ease of use. Additional strategies could be investigated on how to reach and help low-income groups, so we can make AT truly accessible. Web accessibility is not just about disabled users being able to access a website, but about allowing designers to create universal, impactful user experiences, without forgoing creativity and functionality. WCAG guidelines exist to make technology easier for everyone to use and understand, and ensure that in future, products should always intentionally be built without barriers. We are an interactive design agency based in Brooklyn, New York. We do Good Work for Good Causes.